Handy Top 10 Tips for Congregations and Households – Spanish/English – download and share with friends and family! Download the pdf of our Solar Resource Guide here (updated 2016). 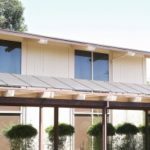 It contains some general info about solar, costs and financing, and several testimonials about congregations in California who have gone solar. The purpose of this guide is to give a short overview of solar/photovoltaic (PV) power and financing as it suits the needs of California congregations in the California Interfaith Power & Light (CIPL) network. As non-profits with unique cash-flow concerns, congregations often face challenging questions when investigating the possibilities of installing a PV system. Switching your electricity away from fossil fuel generated power. Reducing the cost of your facility’s monthly energy bills while creating a pathway to ownership of the solar array. Modeling stewardship of the environment to your community. 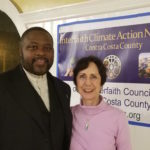 Supporting California IPL’s growing interfaith statewide network for climate action. Timing is important: The financial aspects of a solar installation will change in the next year as the Net Metering rules change in 2016 and the federal Income Tax Credit changes after 2016. Of course, the sooner you go solar, the faster you begin helping heal our planet. We want to help empower you as you shift to solar energy. As you consider, plan, and implement a solar energy system for your congregation, please call us. We are happy to work with you to address any problems specific to your congregation’s needs. CIPL recently began collaborating with American Solar through their Pacific Green Energy PPA Program (contact information below). The Pacific Green Energy PPA program can assist you in evaluating, financing and installing solar on your facility. For many congregations, the program allows low-to-no upfront cost, while providing an environmentally (and economically) sustainable solution to their energy needs. Rebates and Incentives in Your Area: Make sure to check with your local utility to see if they offer rebates and/or other incentives for going solar. Money from the California Solar Initiative may have run out for customers in PG&E and SDG&E territory. 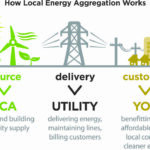 Some utility companies have a “Feed-In Tariff” program, meaning you could assist that utility with the California state requirement of 33% renewables by 2020. Simply call the number on your electricity and gas bills and ask to speak to their solar power representative. Also, check out the excellent website www.dsireusa.org for a comprehensive overview of solar resources in the United States. GRID Alternatives is a certified 501(c)(3) non-profit organization that installs solar power for income-qualified families. Our vision is a successful transition to clean, renewable energy that includes everyone. We have installed on the rooftops of more than 5,000 families across the nation, saving over $130 million in energy costs over the lifetimes of the systems. Learn more about our program and see if you qualify for low-to-no cost solar power here! **Financing Your Congregational Systems: Companies that can assist your congregation in determining financing methods and/or assit in finding a lender for your solar system. See also webinar page and contact information.